Happy Mother’s Day from Mansouri Family Dentistry! We celebrate you and hope you are spoiled and pampered on Mother’s Day with everything that you deserve. The sacrifices you make each and every day often go unnoticed and maybe even unappreciated at times. We want to remind you that we are thankful for making your family’s dental health a top priority. If you have a newborn in your family there are special dental considerations to remember. Often times we hear that people do not feel that baby teeth are as important as adult teeth because they lose them so quickly. This is not true. Baby teeth help your child with chewing and speaking. They help give your child’s face its shape and they hold the spaces for the adult teeth that are coming in. Taking care of your baby’s baby teeth should be a top priority. As soon as your child’s teeth erupt they are susceptible to decay. 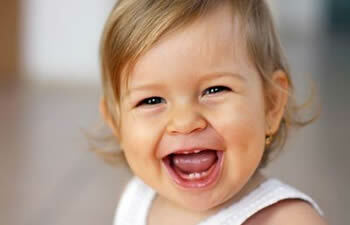 After your baby’s first teeth emerge, begin brushing them twice a day. Use a child sized, soft-bristled toothbrush and a small amount (about the size of a grain of rice) of toothpaste. Book your baby’s pediatric dentistry appointment with us at Mansouri Family Dentistry after your baby’s first tooth emerges. Don’t wait until after their first birthday. View their first appointment as a “well baby” check for their dental care. We can help you navigate your child’s first years of life and set them on a path toward total dental health.